Some ages ago, a man was accompanied by a pancake all their life. From birth, when pregnant woman was eaten pancakes, and until death, when pancakes were served during funeral repast (we still follow this tradition). 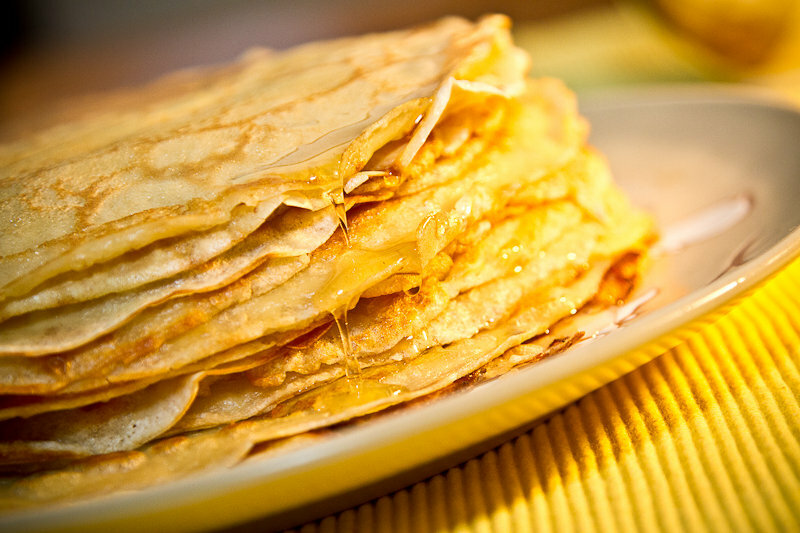 Nowadays, pancakes are essential treats for Butterweek (Rus.-Maslenica). It’s the spring festival, the week before Lent (The Great Fast) for Christians in Russia. During this week women bake pancakes every day(! ), invite relatives and friends, and celebrate the spring. Every day of Butterweek has a name and meaning. Monday is “meeting”. The daughter-in-law visited her parents, then father and mother-in-law visited their house and their decided together how to celebrate. 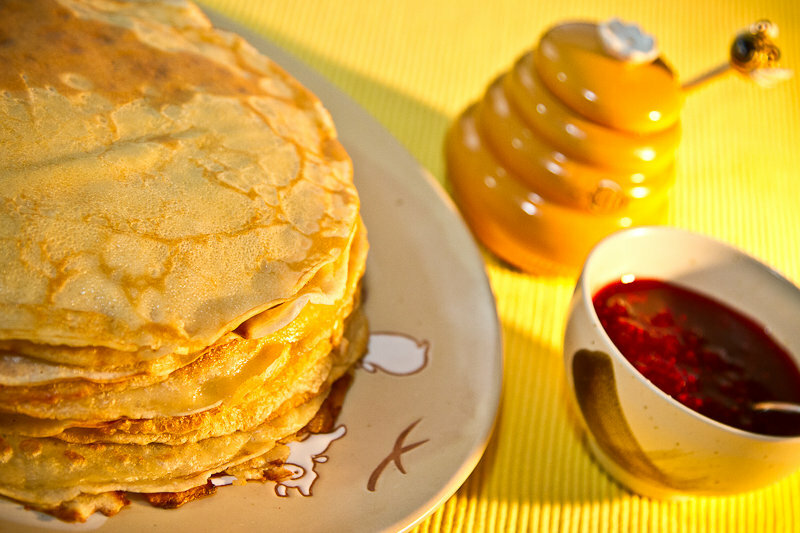 First-cooked pancakes were given to poor people in commemoration of deceased. In the evening, children went to slide from snow hills. Mar12March 12, 2013 • By milkandbun • This entry was posted in Breakfast, Desserts, Russian cuisine, Uncategorized and tagged blog, Blogging, cooking, crepes, food, food photo, My Life, pancakes, photography, photos, Russian, russian pancakes. Bookmark the permalink. I just read some stories by the Russian writer Nikolai Gogol that I enjoyed very much. I don’t remember pancakes but he did mention some traditional Ukrainian foods quite frequently. I’m interested in Russian cooking because I know next to nothing about it. I will be following your blog to learn more. Thanks!